History books are replete with heroic stories of Washington, Jefferson, and Adams, but what of Allen, Russwurm, and Hawley? 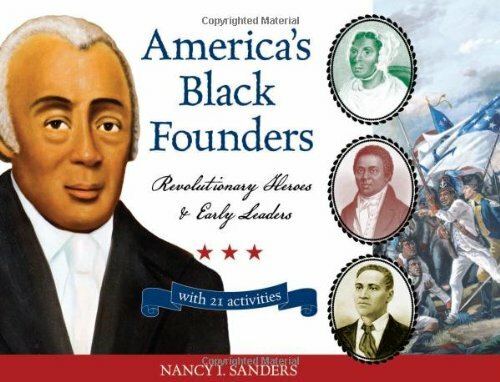 America's Black Founders celebrates the lesser known but significant lives and contributions of our nation's early African American leaders. Many know that the Revolutionary War's first martyr, Crispus Attucks, a dockworker of African descent, was killed at the Boston Massacre. But far fewer know that the final conflict of the war, the Battle of Yorktown, was hastened to a conclusion by James Armistead Lafayette, a slave and spy who reported the battle plans of General Cornwallis to George Washington. Author Nancy Sanders weaves the histories of dozens of men and women- soldiers, sailors, ministers, poets, merchants, doctors, and other community leaders- who have earned proper recognition among the founders of the United States of America. To get a better sense of what these individuals accomplished and the times in which they lived, readers will celebrate Constitution Day, cook colonial foods, publish a newspaper, petition their government, and more. This valuable resource also includes a time line of significant events, a list of historic sites to visit or explore online, and Web resources for further study.